1. I HATE Being the Centre Of Attention. I got over it. I was uncomfortable for the first whole 20 minutes, I'll admit, but then I got over it. 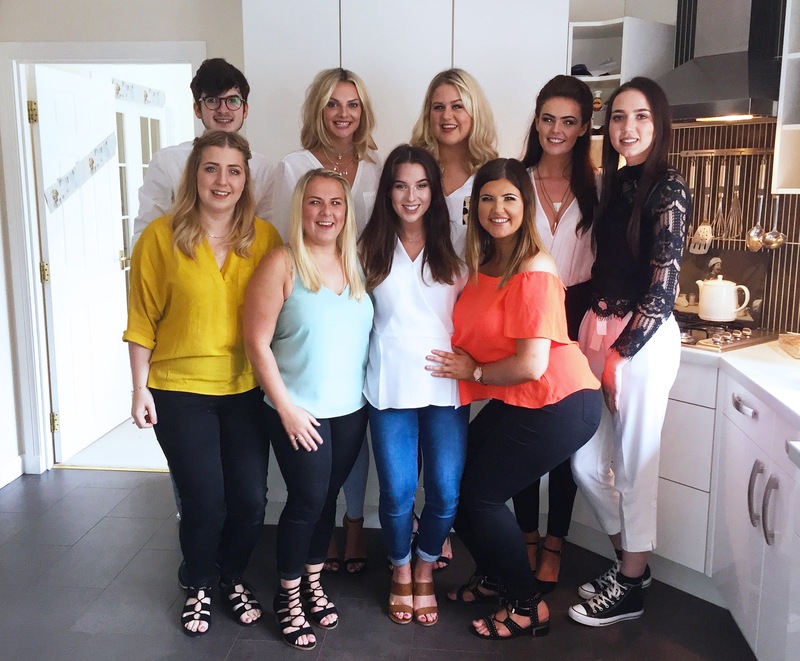 It really is no different to a birthday party, and everyone just wants to fuss over the bump, and the scan pictures, and ask for every detail about the pregnancy, and you should just embrace it. I wish I'd just realised that from the outset - my mum only gets to become a gran for the first time once, my 8 best friends get to become first time fake aunties once, Jordan's gran gets to be a great-gran for the first time once... It's just as exciting for them as it is for me no doubt, I just have to let people be happy and fuss for a little while, even if it means I'm uncomfortable for a few hours. 2. Do I Seem Greedy? No. Short answer is just plain no! 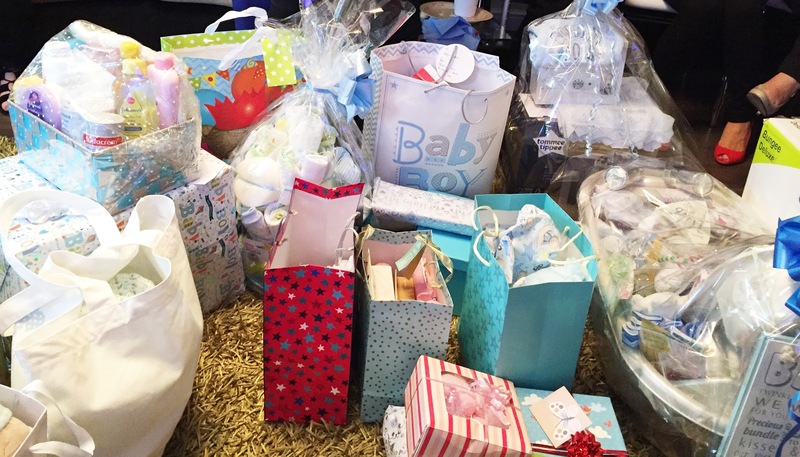 A baby shower is such a widespread thing these days, if anything it's more odd not to have one than to have one. 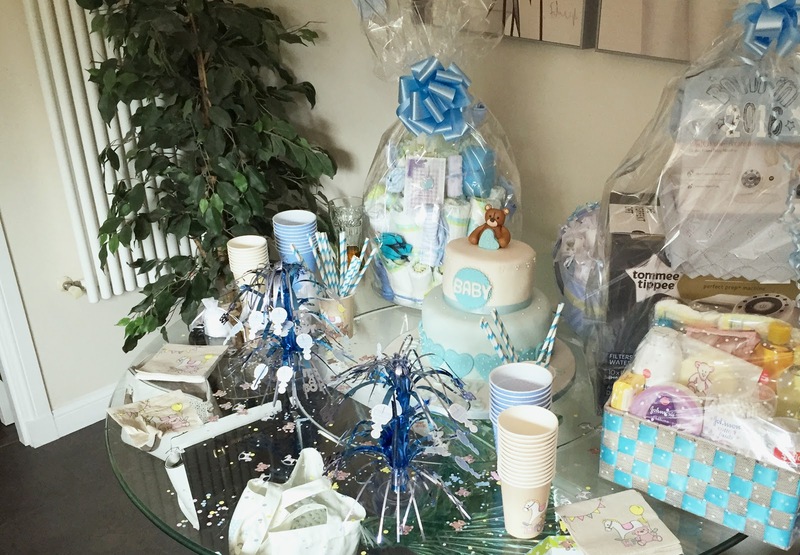 No one questions the motives of a baby shower, and I was stupid to think people would question mine - quite rightly, it's a day to celebrate the approaching arrival of a little one, presents or gifts have nothing to do with that. Albeit people will bring gifts - let them - say thank you and be grateful they've come to share such a special day with you. You wouldn't question having a birthday party, why should a shower be any different? Once I came to terms with that, I found I enjoyed the day so much more. It doesn't just have to be a corporate gimmick, it's entirely down to what you make of it! 'I don’t need 13 baby blankets and a handful of baby memory books. I can’t begin to explain how appreciative I would be that people go to the effort to buy the baby something, it’s extremely kind and I’d imagine it would be overwhelming on the day, but for the expense of the things you’d receive at a shower, you could probably provide years worths of Nappies, Wipes, and Sudocreme, those things that people don’t generally buy'. Quoted directly from my previous post, I was so cynical about receiving anything on the day. Technically, you can never have too many baby blankets, the 6 I received on the day are each beautiful and will be used a lot, I wouldn't change those gifts for a second in hindsight. As for baby books - I received none, shows how much I know. It just shows you though, your friends and family know you more than you think. As for gifts, I will be doing a Baby Shower Haul in the next week or so, but among the big items we received, we've also now got an extra 16 packs of baby wipes, 6 bottles of talc, more muslins than I count and enough nappies to last until early adulthood. People are smart and I really should have given them more credit, and even then, if people want to spend an extravagant amount of money on something, let them! I just had to realise people are excited, and get over my own pride a little. Again, people know me better than I think. No one attacked my bump with a tape measure, and I was too busy trying to get round everyone to even bother being competitive! 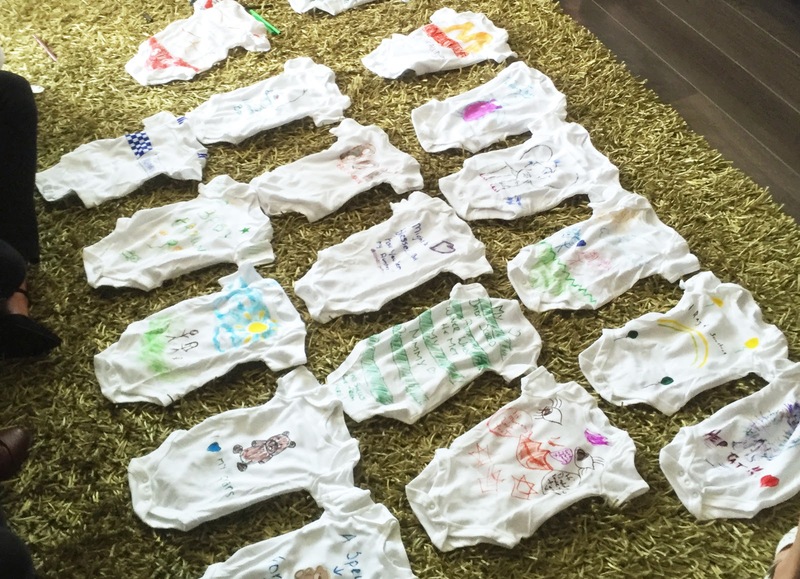 I now have 20 or so custom designed baby grows to keep for life, and the image of my gran trying to aimlessly take down a tiny pram Piñata to see me through - now that's something money can't buy! It really doesn't have to be expensive, not if you don't want it to be. I'm still stuck in the mind set that everything has to perfect for my first child. It truly is hard to get out of that. I've seen baby showers on the TV and I can't separate those from reality - no matter what we done on the day, my day would have been amazing down to the people I was able to share it with. There is no need for a big cake, function halls or extravagant buffets if it isn't within your budget. It wasn't within mine! 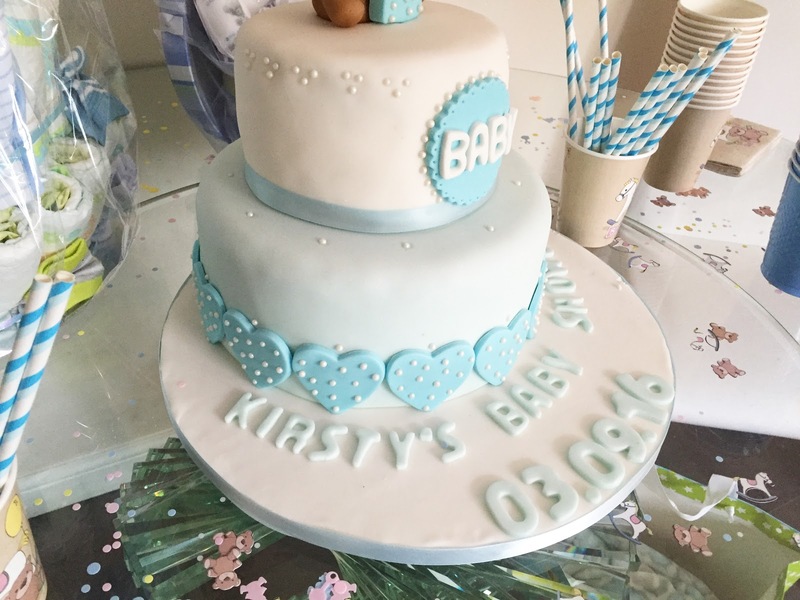 My cake was made by a crafty friend and we scoured Ebay for cheap and cheerful decorations, there's also hundreds of posts across the internet for virtually free shower games, and making the event a 'bring your own bottle' affair makes it practically expense free. The amount of money you have will stretch as far as you need it, you simply need to have the motivation to make it stretch. 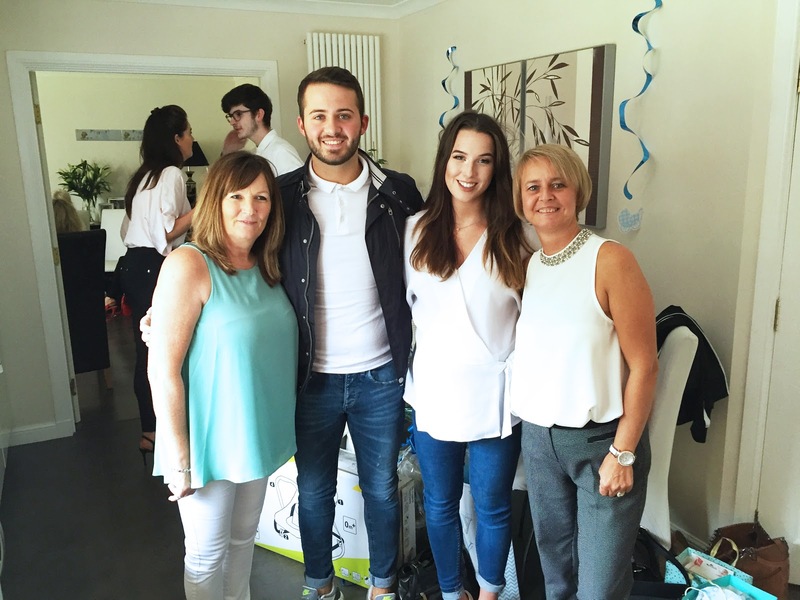 There we have it, the five reasons I shouldn't have dreaded my baby shower. Ultimately, I'm annoyed at myself for every worrying about it in the first place - although my rock bottom expectations meant I had an absolutely amazing day. I honestly could not fault it! If anything though, it's just made me more eager for my little boy to arrive now, it's another thing ticked off the list!